Airbnb rescinds ban on Jewish settlement home listings in "West Bank"
As part of a federal court settlement agreement. Airbnb appears to be settling all the litigations against it over the discriminatory policy. Our lawsuit was filed under the Fair Housing Act, Title VIII of the Civil Rights Act of 1968 as amended by the Fair Housing Amendments Act of 1988, (“FHA”) 42 U.S.C.§ 3601, et seq., a federal statute which safeguards against discrimination in the housing sales and rental markets. While the properties were located in Judea and Samaria, the plaintiffs alleged that the discrimination was being committed by Airbnb, which is located in the United States and is bound to follow federal policies of non-discrimination wherever it operates in the world. The plaintiffs asked that the court enjoin Airbnb from discriminatory practices against Jewish homeowners and sought compensation for any lost rental income from Airbnb. The lawsuit had been spearheaded by the Israeli human rights law organization Shurat HaDin-Israel Law Center in Israel. The families were represented in the litigation by New York attorney Robert J. Tolchin, Esq., Delaware counsel David Eagle, Esq., of Wilmington, Delaware and myself. The policy Airbnb announced last November was abject discrimination against Jewish users of the website. The rescinding of Airbnb’s discriminatory policy is, thus, a powerful defeat for the anti-Israel boycott movement. BDS is an anti-Semitic campaign which purports to care about human rights but whose real goal is to completely replace the Jewish State with a Palestinian one. 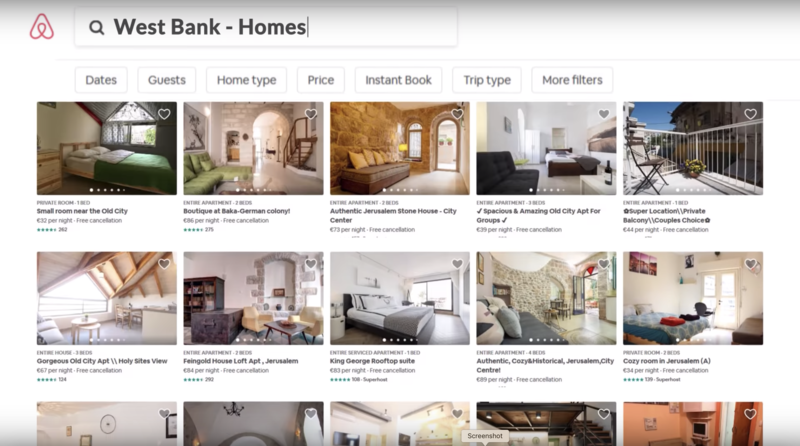 Other international companies need to learn the lessons from Airbnb’s mistake and understand that boycotting Israel and discriminating against Jews are unlawful acts which will ultimately result in dire legal consequences, public condemnations, and embarrassment. No outside party can decide for Israel what its legitimate borders will be or where Jews will be permitted to live. Why now? I can only speculate, but I suspect it has to do with Airbnb’s IPO plans. This a big blow to the anti-Israel boycott movement, which had touted the Airbnb action as a major victory. I am glad to hear that AirBNB has been properly spanked. I hope thgat this has been very expensive for them. This is a warning to the United Nations Human Rights Council that wants to create a “blacklist” of companies operating in Judea and Samaria. Legal action will be taken against them.